A European culinary favorite, Stinging Nettle’s (Urtica dioica) spinach-like greens are remarkably nutritious. One cup of Nettle is abundant in calcium, iron and zinc, and contains ample amounts of magnesium, copper, selenium and potassium plus vitamins A and C.
A well-established remedy in Western herbal medicine, Stinging Nettle provides relief for a wide range of health concerns. 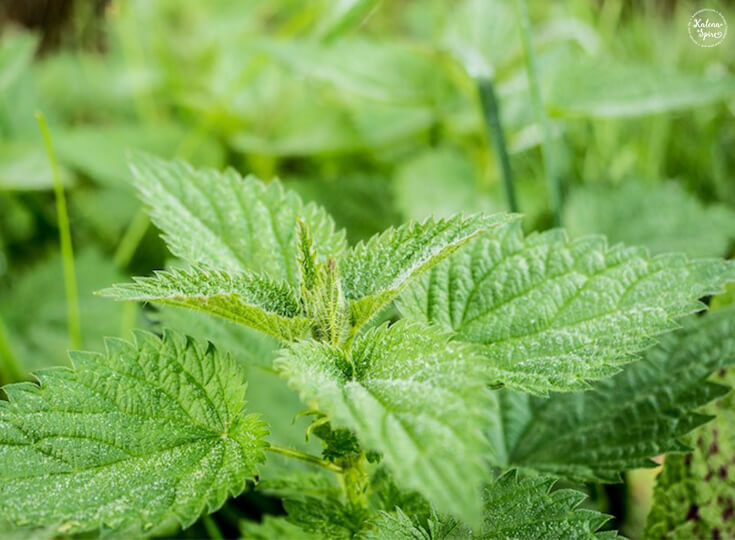 For centuries, the leaf of Stinging Nettle has been recognized for its anti-inflammatory properties and used to treat sore muscles, joint pain, and eczema. Modern science has further established medicinal use of this herb for treating urinary tract problems, osteoarthritis and rheumatoid arthritis, as well as certain inflammatory skin conditions. Because of its high iron content, Stinging Nettle is used to treat anemia. It also works as a diuretic, making it an exceptional detoxifier for the body. Nettle leaf also supports the lymphatic system, may help improve nutrient absorption in the gut, and has been used medicinally to treat enlarged prostate. If cooked leafy greens aren’t your favorite, you can still reap the health benefits of Stinging Nettle. For instance, to enjoy a cup of Stinging Nettle tea, steep 2 tablespoons of crushed dried leaves or look for tea bags. Capsules, tablets, extract and and tinctures are also available. 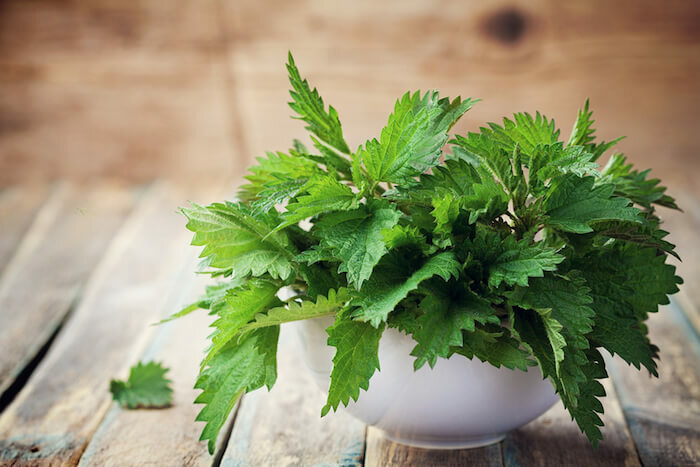 Whether as a food, beverage, or herbal supplement, Nettle is a safe herb for most adults, with the exception of women who are pregnant or nursing. Check with your holistic health practitioner about the best way to add this amazing herb to your diet. Have you tried nettle? Share in the comments below!